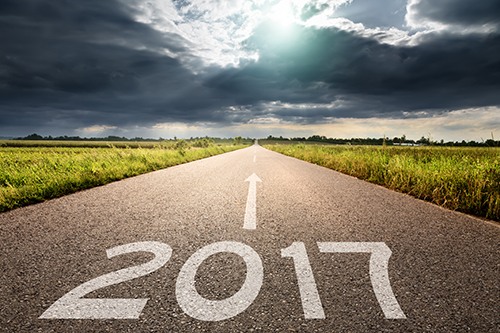 As 2016 comes to a close, and we look towards the endless possibilities that 2017 holds, now is a great time to reflect on the news, tips and events that marked the past year. Here are the top 10 most read blog posts from 2016. Cable and connectivity are the unsung heroes of our industry. There are very few products, if any, that do not need to be connected to something else via wire or cable. That being said, the sale and use of low-grade counterfeit cabling is a growing issue that poses a problem too large to ignore. At the very least, the use of counterfeit cables on a project will cause a customer’s network to operate below standard. At the worst, an installer who, knowingly or unknowingly, uses low-grade cable which causes a fire could face civil liabilities and monetary damages just to start. With this problem taking up a significant amount of space within our industry we would like to share some points with you that you should know when it comes to cable. As the trend in our industry continues to move towards the use of IP and Ethernet connectivity for devices, the proper care and termination of cables and connectors is becoming more critical to the development and maintenance of properly functioning systems. One of the handiest tools for cabling is the “Electrician’s Scissors.” This inexpensive tool looks like a simple pair of scissors but is specifically designed and manufactured for use by our industry’s technicians. 8) Wi-Fi Signal Strength Testing Using Smartphone Apps. When planning to use a Wi-Fi connected IP security device such as a camera, door lock, or alarm transmitter, it’s critical that technicians test the signal strength of the Wi-Fi network at the exact spot where the security device is going to be installed. In many installations, security integration companies are putting IP cameras onto separate or parallel networks. In these cases, the installing firm would normally supply network switches to provide connectivity for IP cameras, access control devices, and other security equipment. By putting the security devices on isolated separate cabling and network switches, the security of the system is “hardened” as internal employees who are not allowed onto the security network cannot easily access the security devices. Using separate network switches with PoE power can lower costs of cabling while providing a dedicated power source for remote cameras and devices that can use PoE. When examining an IP-enabled device that is being installed, such as an IP camera, the wired network connection will be a female RJ-45 socket. As these sockets are built into the camera or other devices, there is little that a technician can do to verify or repair one of these sockets on a piece of powered equipment. Assuming that the male RJ-45 plug being connected to the device has been properly assembled and crimped the network communication should work. Each year, key suppliers across North America are recognized for their support and contributions towards the growth and success of ADI Global Distribution. Vendors are evaluated based on revenue, sales support, marketing initiatives, inventory results and feedback from ADI’s sales and marketing leadership team. The ADI Vendor Awards were presented during the annual Vendor Symposium at ADI’s 2016 Kickoff Meeting held last month in Orlando, Florida. With the continued rising popularity of IP-based security camera systems showing no signs of slowing down, the capability to remotely monitor and control these systems from a mobile device has become a major draw for customers. The ability to check on their property with a glance at a smartphone or tablet is playing an increasingly central role in home and business owners’ decisions to upgrade to a connected digital surveillance system. With this information in hand, a savvy dealer could have a lot of success leveraging this technology to up-sell a new installation or sell a newer upgraded security camera system to an existing customer. One of the great advantages of using IP-enabled physical security devices is the common availability of PoE or Power over Ethernet. This technology can provide all the power necessary to operate IP cameras, intercoms, access control panels, video encoders, and other device types that can be connected to a local network. The power for the remote device is delivered on the same four-pair UTP Cat5e or Cat6 cable that is used for Ethernet communications. Not only does PoE provide centralized power for remote devices, eliminating the need for separate power supplies or connections; it also makes the connection to each device a single cable. This can greatly reduce installation time and material costs. AT&T has announced plans to sunset its 2G technology as it shifts spectrum capacity to its 3G and 4G networks. The planned shutdown date is January 1, 2017. All 2G devices, including alarm panels operating on 2G Technology, will no longer work in this new environment. 1) Network Switches for IP Video – Managed or Unmanaged? Whatever types of IP cameras that are being installed, they must be connected to a network switch port to enable the devices’ network communication. These switch ports will either be located in a combined switch/router, which is the type of device often found in residential or small commercial networks, or in a stand-alone network switch.